Mattel's Thomas & Friends® King of the Railway DVD No. 1 its First Week | Mattel Inc.
EL SEGUNDO, Calif.--(BUSINESS WIRE)-- Mattel, Inc. (Nasdaq: MAT) today announced that the Thomas & Friends® "King of the Railway — The Movie" DVD, from its HIT Entertainment subsidiary and distributed by Lionsgate, was the No. 1 Children's Non-Theatrical New Release and the No. 3 overall Kids Non-Theatrical Release its first week in the U.S., according to Nielsen VideoScan (week ending Sept. 22, 2013). 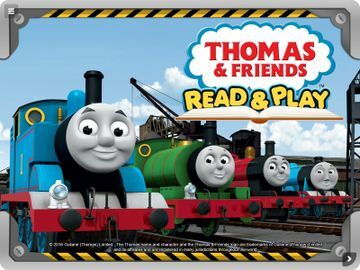 Thomas & Friends has built a strong emotional connection with children and families through powerful storytelling that has delighted and engaged children for more than three generations. The DVD also reached No. 1 on the Kids & Family Best Sellers on Amazon.com and is currently a top five video in the iTunes Kids & Family category.